How does the body work? This question has intrigued and occupied mankind since soothsayers first peered into animal entrails. From the primitive medicine of ancient Egypt to the mind-boggling achievements of modern laboratories, the healing craft has been a fascinating part of man's progress. 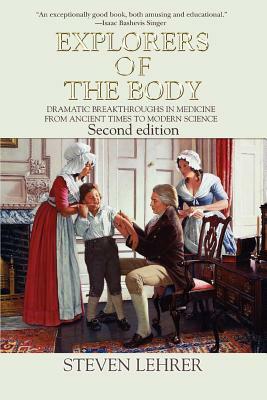 "Explorers of the Body" is a history of medicine told through lively stories of the men and women who made the great breakthroughs in our understanding of human physiology: Edward Jenner, Gregor Mendel, Marie Curie, Jonas Salk, William Harvey, Louis Pasteur, Joseph Lister, and many others. ""Explorers of the Body" is an exceptionally good book, both amusing and educational." "Lots of good medical lore-and juicy." "The author has accomplished a tour de force." "An engrossing account of the medical milestones upon which 20th Century medicine is based." "Factual accounts often stranger and more dramatic than fiction.Among the many lively anecdotes is the story of the unusual collaboration between bacteriologist-writer Paul de Kruif and Sinclair Lewis, which produced the latter's prize-winning novel "Arrowsmith.""